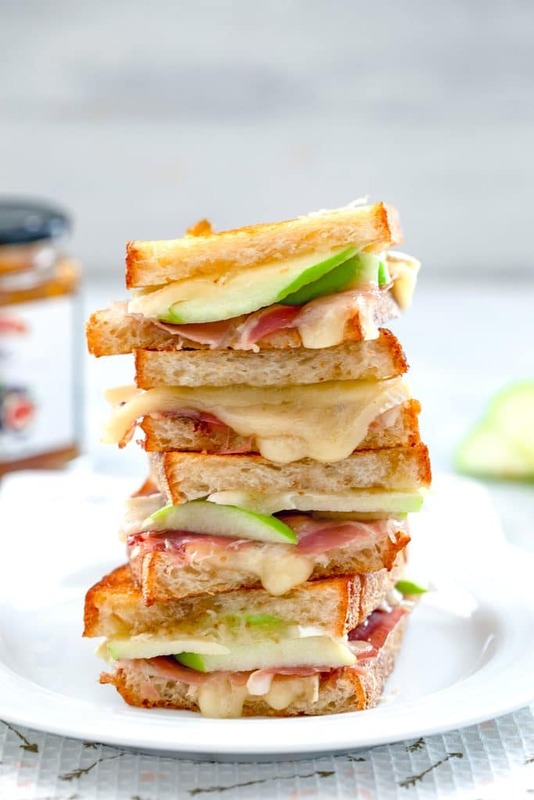 Grilled cheese is always delicious but when you try this Brie Grilled Cheese made with fig spread, green apple, and prosciutto, you’ll suddenly start wanting grilled cheese for dinner every night! (This recipe for Brie Grilled Cheese was originally posted in April 2012, but has been updated with new photos and content in 2018). Back in April, during National Grilled Cheese Month (yes! A whole month of grilled cheese! ), I had a very sad realization. The sudden awareness that all of the grilled cheese photos on my blog are ridiculously ugly. The actual recipes are all delicious, but they’re accompanied by super low-quality photos that aren’t even worthy of Twitter, much less Instagram. And thus, I started the long arduous process of updating these posts. A couple weeks ago, I brought the Jalapeño Popper Grilled Cheese back into your life and earlier, this year the Buffalo Chicken Grilled Cheese. And today I’m re-introducing you to the Brie Grilled Cheese… with fig spread, green apple, and prosciutto. I still have plenty of grilled cheese recipes to get through (tough life!) and by the time we reach April again, We are not Martha will be a goldmine of delicious-looking grilled cheese recipes, yours for the taking. And we can all celebrate National Grilled Cheese Month by eating a grilled cheese sandwich basically every night. You certainly wouldn’t hear any complaints from me! Grilled cheese is one of the most basic sandwiches… But that doesn’t mean you can’t fancy it up! And when you’re looking for fancy, I feel like brie can’t be beat. Figs, too! But since figs can be difficult to find depending on the time of year and where you are, a simple fig spread works perfectly for this sandwich. When it comes to apples, I almost never opt for granny smith UNLESS I’m cooking or baking with them. 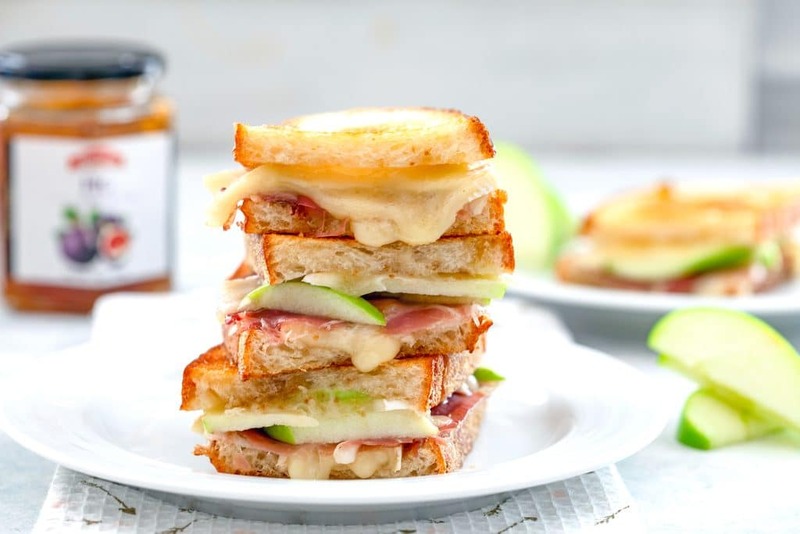 You can use any kind of apple in this brie grilled cheese, but there’s something about a tart green apple that works so perfectly. And prosciutto? Is there anything you add deliciously salty prosciutto to that isn’t automatically better? 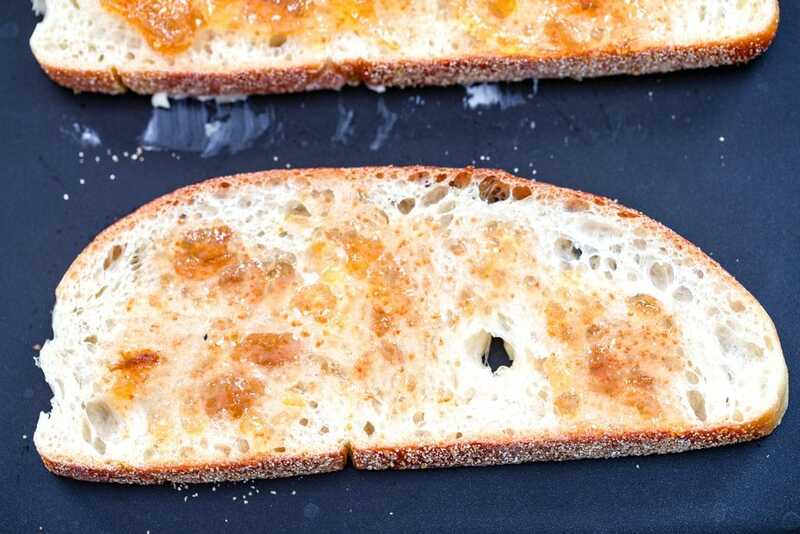 I include ingredient amounts in this recipe, but as with all grilled cheese recipes, just follow your heart when it comes to how much to use… A lot depends on how big your bread is, too. The important thing? Butter one side of all your bread slices and add a generous amount of fig spread to the other side. And then layer your ingredients up! I went with brie, followed by green apple, followed by prosciutto, and then more brie! Top with the remaining slices of fig-slathered bread and let the bread get all toasty and the cheese melty. One of my favorite things about grilled cheese sandwiches is when the cheese gets all oozy and the other ingredients peek out of the side of the bread. I also enjoy how quick and easy they are to make. And obviously versatile. With so many different types of cheese in the world and so many perfect add-ins, the grilled cheese combinations are seriously endless. But I really think you need to try this brie grilled cheese as soon as you possibly can. I recommend slicing this sandwich in half or else it’s a little bit difficult to eat. Plus, it’s so much prettier when sliced in half! In general, are you a sandwich slicer? I ALWAYS cut my sandwiches in half, but my husband never does. 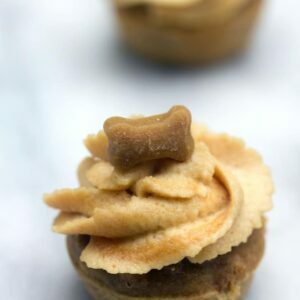 I just think they taste so much better in halves. I’m absolutely obsessed with the flavors in this brie grilled cheese. 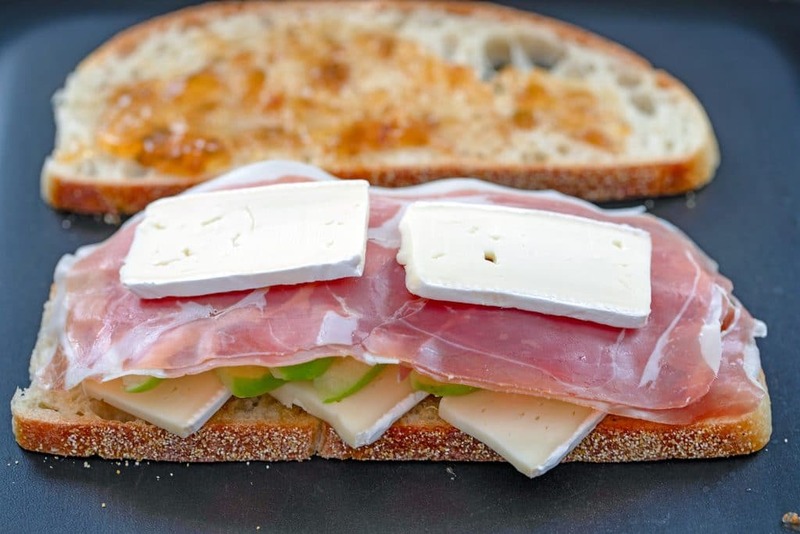 The strong flavor of the cheese is very nicely balanced by the sweetness of the fig jam, tartness of the green apples, and saltiness of the prosciutto. 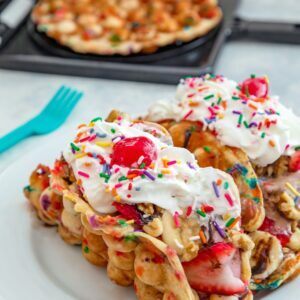 There’s SO much going on here and is basically a “party in your mouth” (I know that’s super cheesy to say, but I honestly can’t think of a better way to describe it!). I will forever love a grilled cheese made simply with whole wheat bread and sharp cheddar, but from now on, this brie grilled cheese will be showing up in my dreams. What’s your favorite grilled cheese sandwich combination? 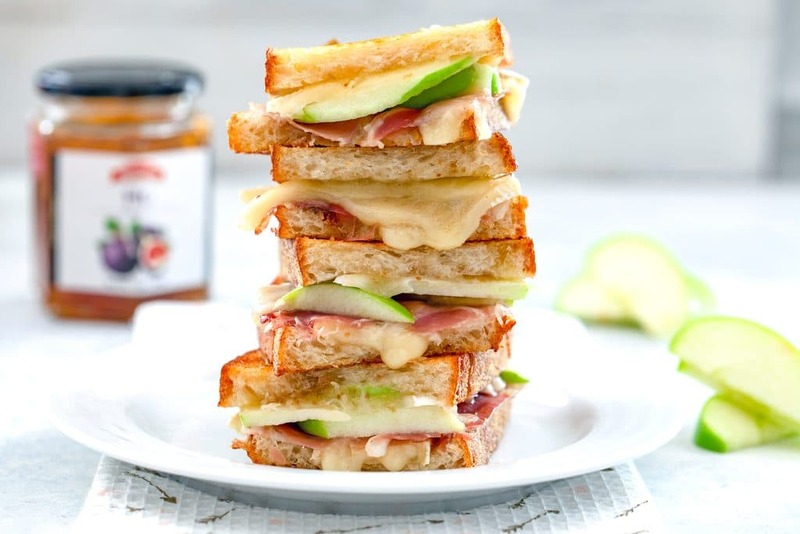 Grilled cheese is always delicious but when you try this Brie Grilled Cheese made with fig spread, green apple, and prosciutto, you'll suddenly start wanting grilled cheese for dinner every night! Spread butter on one side of all four slices of bread. Place bread butter-side-down on grill pan over medium-low and spread fig jam on the top of each slice. 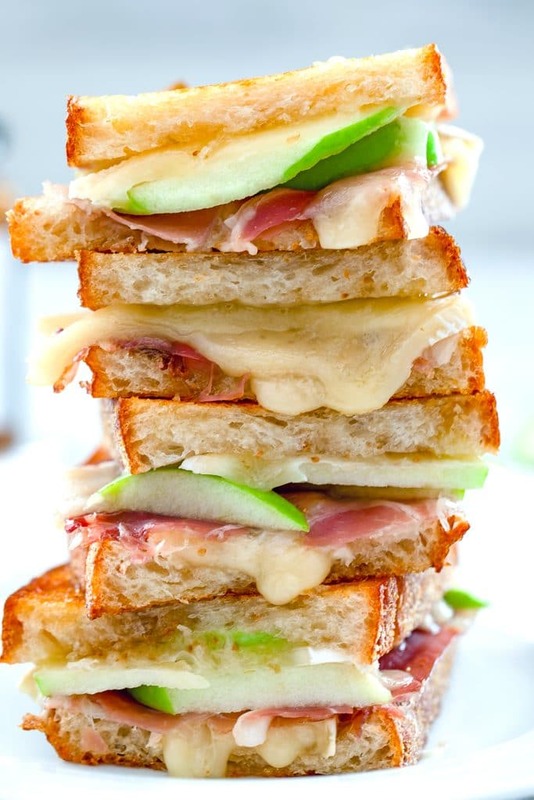 On two slices of the bread, layer brie, apples, prosciutto, and more brie. Take the fig spread-only slices of bread and place them on top of the layered slices. Press down with a spatula and let grill for about 2 minutes, until bread begins browning. Then flip sandwiches over and let the other side of the bread brown and the filling get all melty. 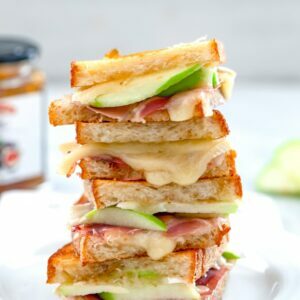 18 Responses to "Brie Grilled Cheese with Fig Spread, Green Apple, and Prosciutto"
i want this so much more than the hummus sandwich i packed for lunch! I LOVE making gourmet grilled cheeses like this one! This has one of the best grilled cheeses I’ve ever had. So good! Ah I love that combination of flavors. Now I must make a grilled cheese for the occasion! 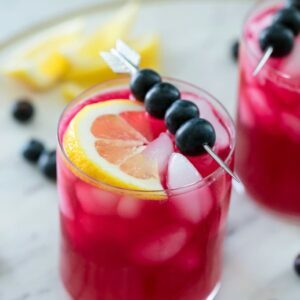 This recipe looks incredible. I plan to make it very soon…thanks for the beautiful photos too! How did I go through life without knowing there was such a thing as grilled cheese month? Some grilled cheese making definitely needs to happen! Love the components of this sandwich. I’ve made something similar with pear in the past. This is definitely one of my favorite grilled cheese combos! Hurray for grilled cheese month! I love adding new ingredients to grilled cheeses. 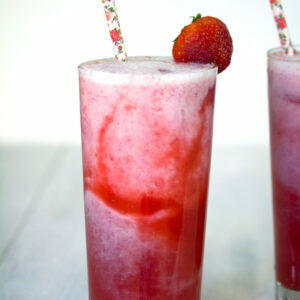 This looks mouth-watering! I will be eating this for lunch over the weekend! I also love grilled cheese with bacon, tomato and a slice of bermuda onion, delicious! I’m definitely planning on celebrating this month. i’m thinking that I want to make another sweet version. I made some banana bread sandwiches with a goat cheese chocolate spread and strawberries awhile ago and found myself thinking they would be fantastic grilled. OMGyum! Love prosciutto, brie, bread and fig jam. Might try it out tomorrow night. Wow! This sounds amazing. Love the flavor combo. I love this combination of flavors! This is my kind of sandwich! So good! Cant go wrong with a savory grilled cheese.